The Forex trading market allows traders to open different types of accounts for trading operations: standard trading account, micro trading account or mini trading account. At first, when it was created, the Forex market was only for those with great financial resources such as big corporations and banks. It was considered an exclusive club. When the Forex market opened for retailers, the trading size which was considered standard was about 100000 US Dollars. Although for the big size players it might have been a reasonable sum, for most small investors it was out of reach. Forex brokers came out with two ways of solving this problem. First, traders were allowed to trade on margin or with leverage. A lot of standard size could be traded for as few as 2000 US Dollars instead of 100000 US Dollars as it was previously required to start trading. However, this was not enough to make the Forex market more accessible to investors who were new in this business. Secondly, forex brokers created the mini account. It is still a forex account, but it allows trades just for tens of thousands, instead of hundreds of thousands. This way, several tens of thousands could be traded and not one hundred thousand at once. These two facilities created by Forex market brokers made it possible for beginning traders to enter for under 500 US Dollars. A mini account acts just like a standard account, but the great advantage is that it allows a tenth part of the size of standard trades to be operated and it offers a lot of diversity in operations. This is a very good way to start trading in the Forex market for someone who has never done this before, especially if that trader has limited capital. It’s true that a mini account can be opened for a couple of hundred dollar, but it is much safer in what trading is concerned to open an account of at least 1000 US Dollars. Not even professional traders don’t take the chance and open such small amount accounts. Low capital for starting a trading account implies great risk. Of course one could get lucky, but it is also possible to loose a great amount and to have to start all over again and again. Avoid this unpleasant situation and start with a greater amount from the beginning, even if you need to wait until you get all the money. It is worth waiting once you get started with the trading operations. 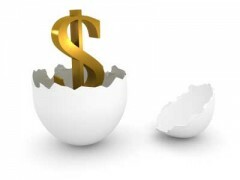 Many forex brokers offer the possibility of opening a mini account. Before deciding to go with one broker or another, test them and see who is better suited for your needs and expectations and who offers better customer service. The next important thing when you get started is to practice a lot. First experience trading with a demo account. Try it at least a month and only after doing so go ahead with real money. Don’t jump into large trades from the beginning. Trade small. Don’t go for multiple trades at the same time. Make one at a time. Keep a trading journal so you can have a clear view of what and when you did right or wrong, so you can know in the future what to do. By doing so, you will progressively learn about Forex trading while gaining more experience and becoming more certain on you actions. It will prevent you from trading wrongly and keep you safe from losing everything you have. Trading on mini accounts or for smaller amounts doesn’t mean there isn’t any risk of loss, so you still need to be very careful what you do. Don’t rush into things, make strategies, observe and be cautious. When you decide to get started, start with a list of forex brokers and test them. Don’t be hasty, choose y broker only when you are feeling comfortable and confident about your choice. It’s not wise to commit your money based on an impulse. Moreover, if you follow these pieces of advice stated above, then you can actually make some serious money even with mini trading accounts. A micro account allows trading with only 25 US Dollars instead of 1000 as standard accounts require.